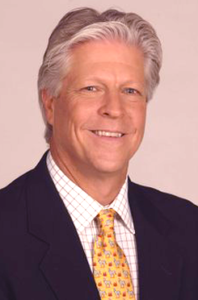 Keith Hirshland is the son of local broadcast television pioneers and a four-decades veteran of the television industry. Shortly after the passing of both his parents Hirshland was urged to commemorate their lives and tell a few stories about his own trials and tribulations, successes and failures during his own long and interesting career. The result was Cover Me Boys, I’m Going In (Tales of the Tube from a Broadcast Brat), a memoir replete with musings about the early days of ESPN2 and the launch of The Golf Channel, where Hirshland worked for 18 years before being fired for publishing this book. Hirshland realized he had been telling stories his entire life and, having enjoyed writing the first book so much, decided to try his hand at fiction. 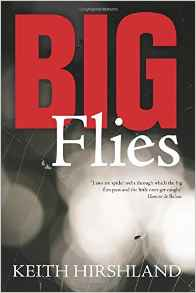 Big Flies, a mystery that uses four real-life, still unsolved, robberies as connective tissue to tell the story of a father and a son. He is currently living in New Jersey with his wife and Bernese Mountain Dog writing book number three. Growing up in the shadow of one of network affiliate television’s groundbreakers, Keith Hirshland was destined to follow in his father’s footsteps. In this gripping new memoir, readers will follow Hirshland’s stories as he witnesses the creation of sports networks and works alongside the legends of broadcasting. With a career that spans more than thirty years, Hirshland has seen it all. From the meteoric rise of Tiger Woods to the Kelly Tilghman “lynching” controversy and countless stories from the incredibly successful SKINS GAME golf franchise, his amazing stories provide a behind-the-scenes look into one of the most revered industries in the world. 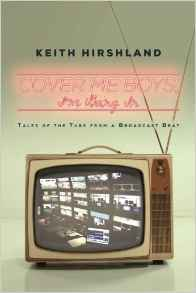 Cover Me Boys, I’m Going In: Tales of the Tube from a Broadcast Brat gives readers an informative, reflective, and often humorous look at live television from both in front of and behind the camera. Offering an insider’s look at the television industry as well as the creation of two sports networks, this gripping memoir’s stories include some of the most famous athletes and broadcasters in the world. With a behind-the-scenes look into sports television that few will ever experience, this exciting memoir gives readers a priceless glimpse into one of the nation’s most coveted industries. The first book to document the creation of the Golf Channel, Cover Me Boys, I’m Going In is a unique memoir that covers a number of fascinating industry moments. Covering the Golf Channel as well as the earliest days of ESPN2, these wonderful stories are packed with the larger-than-life personalities that made these sport networks successful. Inspired by his parents’ death, Hirshland wanted to document as much as possible about his professional life. After having led an interesting and unique life, he wanted to find a way to honor his parents while passing his stories down to his children. A mesmerizing read for anyone interested in sports, television, or “behind the scenes” stories in general, Cover Me Boys, I’m Going In is sure to hook readers from the very beginning. With its eclectic mix of playful, humorous, and dramatic stories, this excellent collection is truly the entertaining, informative, and enlightening book that readers have been waiting for.